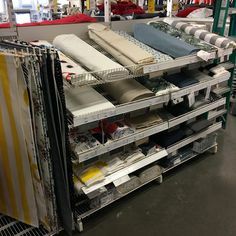 It’s an Easy Project You Can Finish Quickly! 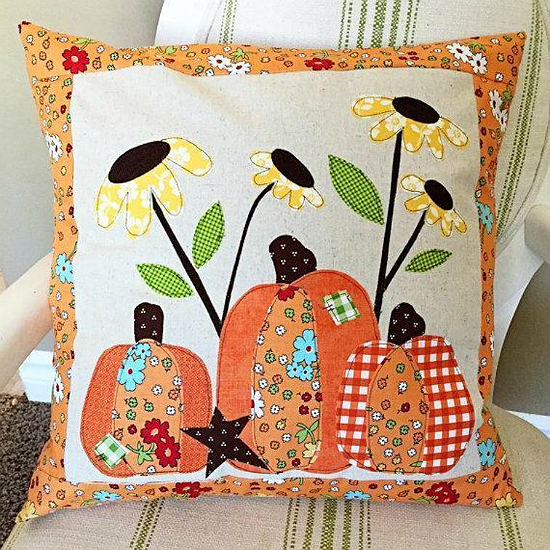 This fun and festive design is perfect for your fall decor. 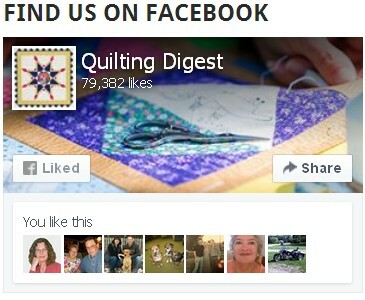 Make it into a pillow cover, a mini quilt for your wall or door, or a table topper. It will add cheer to your fall decor wherever you choose to display it. 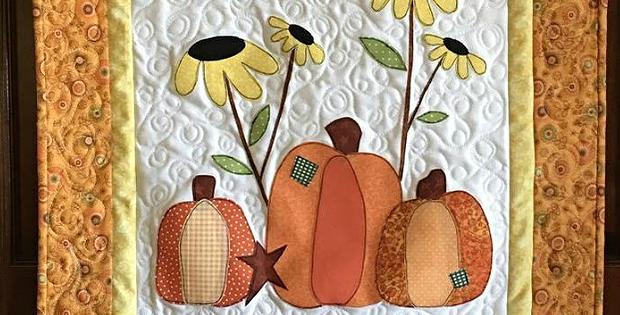 Fusible applique makes it a breeze to put together, even for beginners. 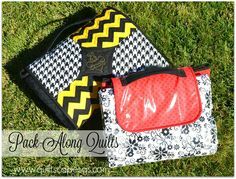 Dig into your scraps for a nice variety of colors and fabric styles. 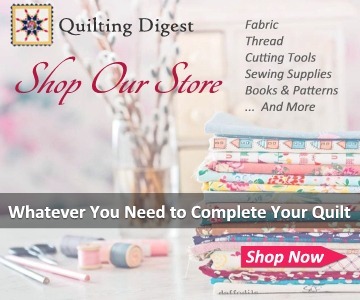 Outline the shapes with straight stitching for an artistic touch, or use a blind hem or satin stitch. Quilt by Olivia from Pumpkin Hollow Quilting. 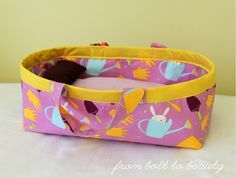 The finished top, designed by Lindsey Weight, is 19.5″ x 19.5″. 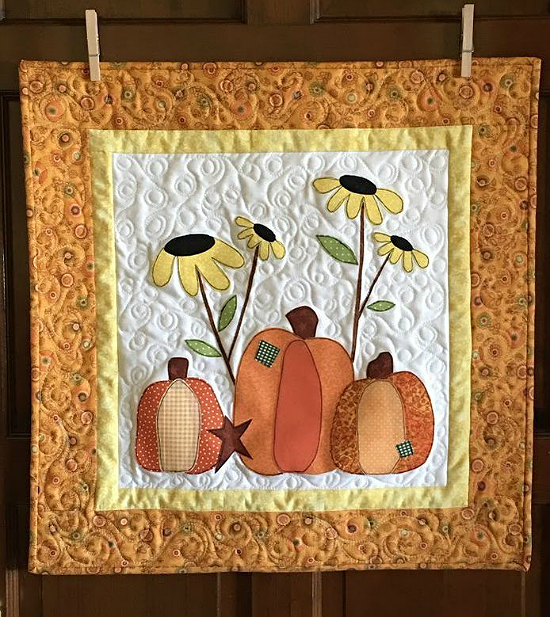 Click here to purchase the “Autumn Blessings” pattern.